Each Monday and Thursday, Christian Writers Downunder's faithful and talented blog team contribute blogposts to inspire and inform aspiring and established writers. 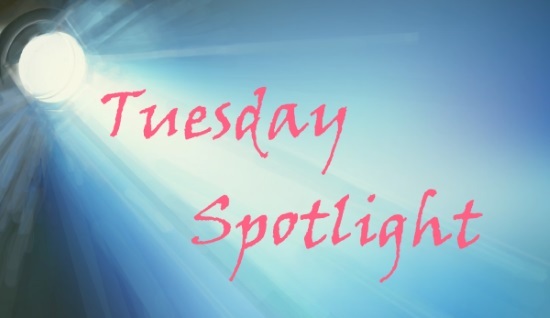 In 2017 we will be adding Tuesday Spotlights - posts that spotlight both writers and organisations that contribute to the writing scene Downunder. Our first on December 27 was on Nola Passmore, writer, editor, academic and the previous coordinator of Christian Writers Downunder. 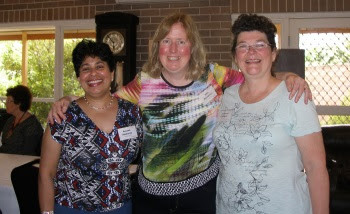 The next three will highlight the CWD Administration team: Anusha Atukorala, Paula Vince and Jeanette O’Hagan. Today’s spotlight is on Anusha Atukorala. 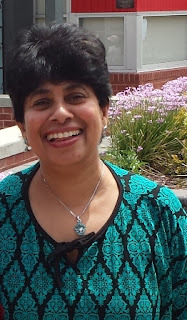 Anusha Atukorala is a humble, gracious and faithful encourager and prayer warrior; a writer and speaker who is passionate about her faith, family, and writing. Her first book Enjoying the Journey is a collection of little God thoughts from everyday life. She has also had devotions and short stories published, including ‘A Dream Realised’ in Glimpses of Light. Anusha has been on the CWD Admin team for four years and her encouragement, wisdom, and prayer ministry is invaluable. Twice a week, Anusha faithfully posts the links to our CWD blog so you can read the inspirational and helpful posts. Jeanette: Anusha, many people are inspired by your devotional book Enjoying the Journey and through your inspirational blog ‘Dancing in the Rain.’ What or who inspired you to write and to keep on writing? Anusha: Thank you Jenny for your generous words. It’s interesting that all my education was in my mother tongue, Sinhalese. But once I tasted Enid Blyton’s books as a little girl, my life changed forever! I devoured them as fast as I could and fell deeply in love with the English language. I scribbled stories and poems as a child, composed songs as a teenager and wrote reams letters over the years, connecting my passion for writing with my passion for people. After I left school, I’ve been a Lab Technician, Analyst Programmer, full time mum, Charity Director and a full time volunteer. 10 years ago, when I failed to get a job, God nudged my heart. Yes, it was time to pursue my childhood dream and He called me to become a Christian writer. Yay! I’d been a believer for many decades at the time, so of course, God Himself was my inspiration. Growing up, my Dad was a Director of a Newspaper group in Sri Lanka. Mum was a journalist. My family grew up with books, lots of them, so my parents are also a big part of that motivation. I went on to marry a lover of books and our son has followed suit. I’m very pleased that my son blogs regularly like his Mum! Jeanette: Your mother was a prominent and award-winning journalist in Sri-Lanka. What influence has she her example had on your life and your writing journey? How important is family to you? 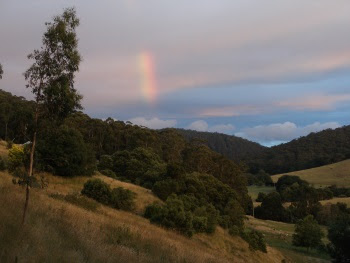 Anusha: Two things Mum pursued with excellence were writing and counselling. I’ve naturally taken to both like a Galah bird learning to fly, although I’m nowhere as professional as she was in either field. She was definitely my role model and championed my writing till the end of her days. My immediate family comprises two unique, amazing, priceless men! Shan and I celebrate 31 years of wedded bliss tomorrow. I’m deeply grateful to him for the many sacrifices he has made over the last 10 years so I could write. Without his support, or his hard work, I could not have pursued my dreams, so my Beloved (next to God) is the wind beneath my wings. 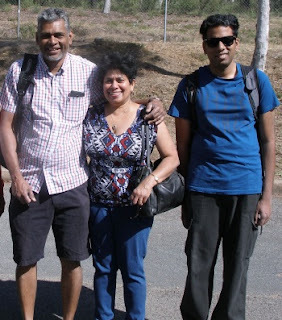 Our son Asela (26) is on the Autism spectrum and has needed to has overcome numerous challenges to get to where he is today. I’m very proud of them both. So yes, family is very important to me, not least my 2 sisters and 4 brothers who too have been a significant part of my life. Having said that, Jesus made it clear, didn’t He, that anyone who does the will of God is His brother, sister and mother? As I’ve travelled through life, I’ve met many remarkable people. Friends (I believe) are the family we choose for ourselves! That includes all you awesome writer friends. Thank you so much for being an integral part of my journey. I value you all. Life isn’t always without struggle, yet you have a consistently positive attitude no matter what happens. Each week you find the silver lining, the patch of blue sky, the signs of God’s love and faithfulness around you. Where do you draw your strength from and how does this influence your writing? Anusha: As a brand new Christian at 16, Jenny, there were times I wondered if my walk with God was authentic. My faith hadn’t been tested then. Now, 43 years and an abundance of life experiences later, I know that I know that I know. God has been good to me. I say that with tears in my eyes and a deep conviction within. CS Lewis said that “God whispers to us in our pleasures and shouts to us in our pain”. It has been my experience too. It’s those trying, tough seasons that have led me discover if what I believed was true. God has come through for me over and over again—not always changing my circumstances but always walking with me through my darkest hours, comforting me and giving me strength to endure. He has been both my Hiding Place and my Inspiration. When I created my website 5 years ago, I was asked to give it a name and the Holy Spirit whispered ‘Dancing in the Rain’. I realise now as I look back that it was the perfect title. Not only have I been able to draw strength from Jesus for my hard times but He’s also enabled me to use those experiences to encourage and bless others. What an awesome God He is! Jeanette: He certainly is! What obstacles in your writing and how have you responded to them? What are your goals and dreams? Anusha: The biggest obstacle in the last few years, Jenny, has been my health. I’ve suffered from fibromyalgia over the past 12 years and the debilitating fatigue and pain hamper my creativity. Obstacle number 2 is a lack of finances to obtain professional help. I’d hoped that I’d be able to work part time job to finance my writing, but my body doesn’t allow it at present! At Disneyland I learnt that the best way to enjoy each ride was by clinging onto the rails and going with the flow. The analogy has helped me in real life too—I’ve learnt to cling onto God with all I’ve got and then go with the flow of wherever life takes me. Exhilarating! As for goals and dreams… I’ve just been listening to an audio book called ‘Living Forward’ by Michael Hyatt/Daniel Harkavy. Their LIFE PLAN consists of answering 3 questions. I’ve spent the past 2 weeks answering those questions and found they were excellent ones to propel me forward. As for my goals in 2017, I’d love to get two more of my books on their way to publication. I’m writing a book to encourage those struggling with chronic illness. I’m also working towards put together a few more books using my blogs of the last 5 years. Jeanette: I look forward to seeing both those book published :) If you were to give advice to someone just starting out as a writer, what would it be? Anusha: If God’s called you to be a writer, go for it. Read widely. Write as often as you can. Study the craft. Link with other writers. Don’t get swamped by the world’s demands. Choose wisely how you spend your time. Say ‘Yes’ when God demands a ‘Yes’, but learn to say ‘No’ when you need to. Spend sufficient time with God every day and walk close to Him. Know His heart and write out of that relationship in obedience and trust. Being is always more important than doing. Yes, integrity matters. Rejections will come—accept them as part of the package. Persevere! Persevere! Persevere! A Christian writer’s life is rich (though not necessarily in monetary terms) and rewarding—and with His help, you can reach for the stars. And don’t forget … He who calls you is always faithful. Jeanette: Thank you Anusha for your wise and inspiring words, for your contribution to CWD, your encouragement over the years, and for taking time to talk to us. Wishing you all the best in what God has for you, your family and your writing. Anusha: Thank YOU Jenny. I really enjoyed my chat with you. God bless you richly for all you do for us Christian writers at CWD. It is greatly appreciated. Anusha is passionate about many things – Jesus, love, life, family, friendship, music and the beauty of God’s creation. 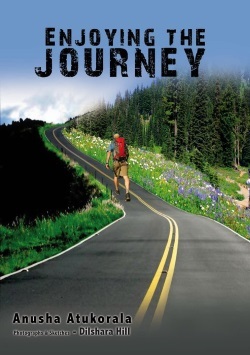 Her first book Enjoying the Journey is a collection of 75 little stories centred on God’s reality in her life. Anusha’s had stories published in 12 Anthologies and she lives to share God’s amazing love with the world. She is deeply blessed to have two places she calls home; the little paradise island of Sri Lanka where she grew up and the beautiful city of Adelaide, Australia where she resides; well perhaps three homes—since our Father God’s heart is her first and best resting place. Thanks for taking the time to talk about your life, your writing and your faith, Anusha. All the best for you next projects. Love this. Thanks Jenny for the insightful questions. And Anusha, what an encouragement and inspiration you are! Can't wait to read your next books. Every time I read anything you have written I am refreshed and drawn closer to the heart of God and understand more of His love for us. Thank you for using your gifts for Him. Thanks so much sweet Jenny. Thank you for taking the time to read and respond. Bless you for the precious encouragement you are to me. Appreciate you being part of my journey. Thanks to both of you. I really enjoyed this. Anu, you are a never-ending source of encouragement. Thanks Jeanette - and isn't she, just. Awww! Thanks so much for your encouragement dear Nettie. I'm so glad you enjoyed it. Bless you. And thanks to you too Jenny. That was a beautiful, inspiring post Anusha. As I've gotten to know you better over the years, I've been amazed at the way you've always been so positive in the face of difficult circumstances. You have faithfully pursued God's call on your life and I believe you are now coming into a season where you will see the fruit of your labours. May God continue to bless your writing in ways you can't even begin to imagine. You have been an inspiration to so many, including me. There are millions more who have to hear what God has placed on your heart. You go, girl! Thank you my lovely friend Nola. You are so generous with your words as was Jenny. I have so enjoyed getting to know you over the last few years. Thank YOU for the way you have blessed me. You know - I've felt that too - that I am now coming into the season of seeing the fruit of my labours, so thank you for confirming it. God encouraged just last week with Galatians 6:10 "And be not weary in well-doing for you will reap a harvest if you don't give up". I felt He was addressing my writing journey. Thank you for your words of life and hope my friend. I'm so grateful for your input into our writing lives and for your encouragement at all times. Bless you. Fantastic interview Jeanette and Anusha. What an amazing and inspirational journey. I hope you know just how much you've encouraged me personally, Anusha, let alone the many others who've been privileged enough to come into your circle of influence. I love your writing heritage. Wow. It's in your veins! But as your say, your journey hasn't been without its challenges. Thank you for sharing and being such a champion of others with your delightful smile, incredible attitude to life and care for others. Thanks so much lovely Adele. You too have blessed me heaps - I think these Toowoomba-ites are a special breed of Aussies. Perhaps it's the water? :) Thank you so much for your kind words. Thank you for your loving encouragement - bless you. Thank you, Anusha--a really interesting interview to read. I'm sure your parents would be very proud of you for being faithful to God's call to write and for continuing to push forward, despite your health issues. I do hope and pray those next books of yours surface soon, but, whatever happens, may God continue to bring you much joy and fulfilment through your books and blogs. Thanks so much dear Jo-Anne for your loving words of encouragement. God certainly has brought me rich rewards of joy and contentment through following His call to write. Thanks for being part of this writers group who have taught me and encouraged me along the journey. Thank you Anusha and Jenny, I have TOTALLY enjoyed reading this interview. You girls are both wonderfully inspiring with your faithfulness, honesty, encouragement and enthusiasm! Thanks so much dear Di for your words of appreciation. So glad you enjoyed it. Awww... thanks for blessing us with that wonderful encouragement. God bless you.